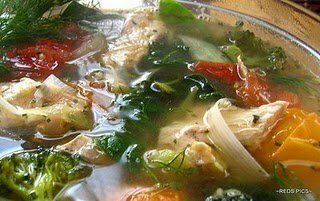 The flavors and colors really pop in this low fat soup. There is no absense of taste here! Pound thin and season chicken breasts while doing the prep work. Then grill till done.